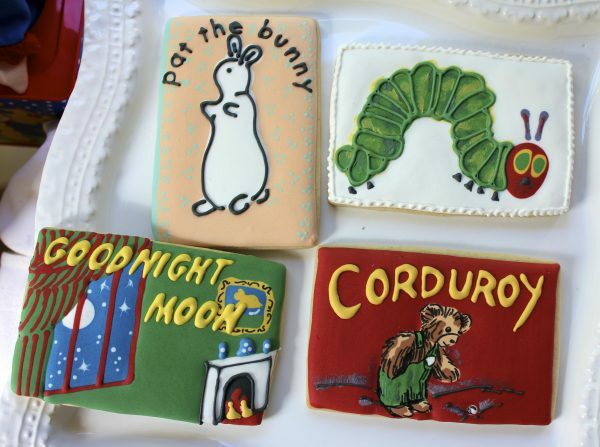 These rectangle cookies cover some of the most loved children’s stories such as Pat the Bunny, The Very Hungry Caterpillar, Goodnight Moon, and Corduroy the bear. 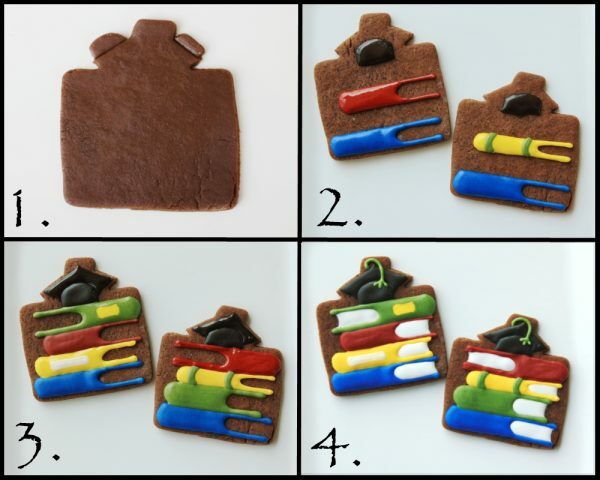 Simple, yet ever so cute, classic stories seem to be a specialty in the world of cookie baking. 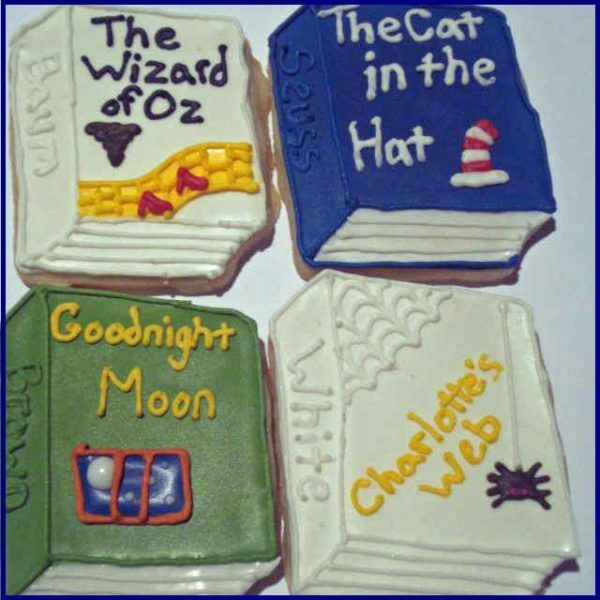 This selection includes The Wizard of Oz, The Cat in the Hat, another Goodnight Moon, and Charlotte’s Web. Sometimes it’s better to keep it simple. 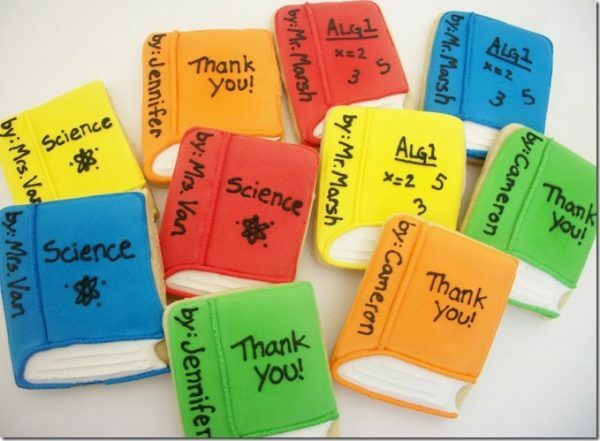 Read, read, and read some more! 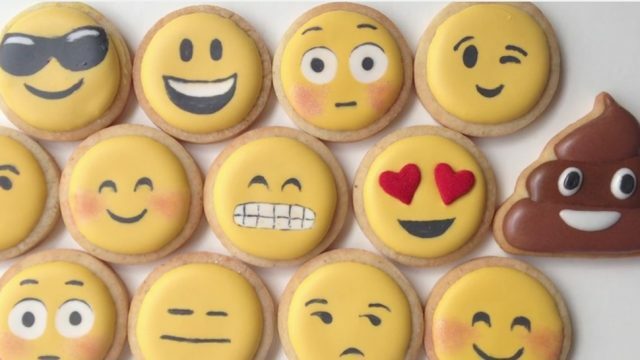 These would be so adorable for a graduation party! When October rolls around, one of my favorite movies to rewatch is 1993’s Hocus Pocus! 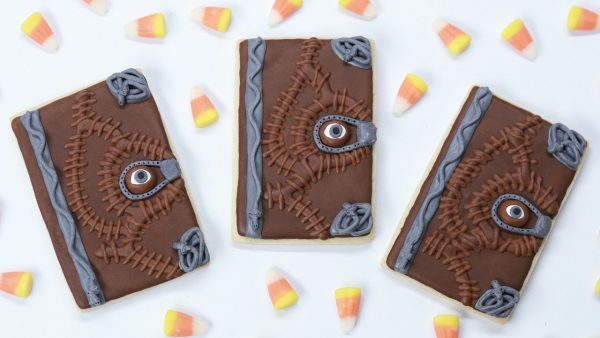 Watch the movie and snack on these chocolaty spellbooks (instructional video below) while getting in the Halloween spirit! 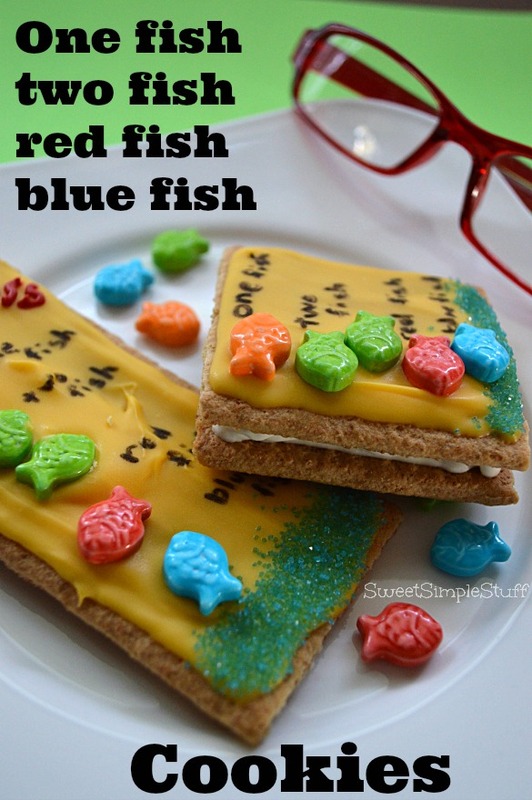 Perfect for snack time or as a special treat for young ones! 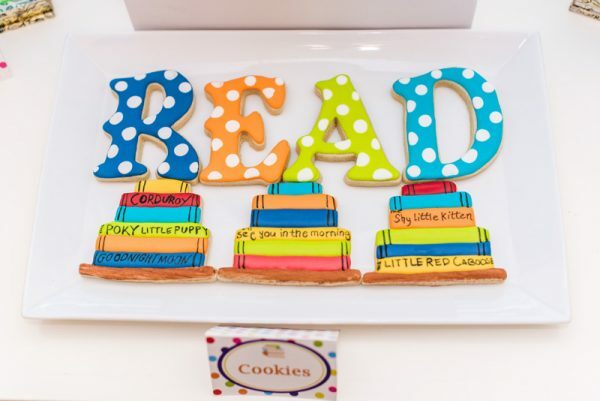 Inspired by the classic Dr. Seuss learning to read book, One Fish Two Fish Red Fish Blue Fish, these cute cookies will make reading all the more fun! 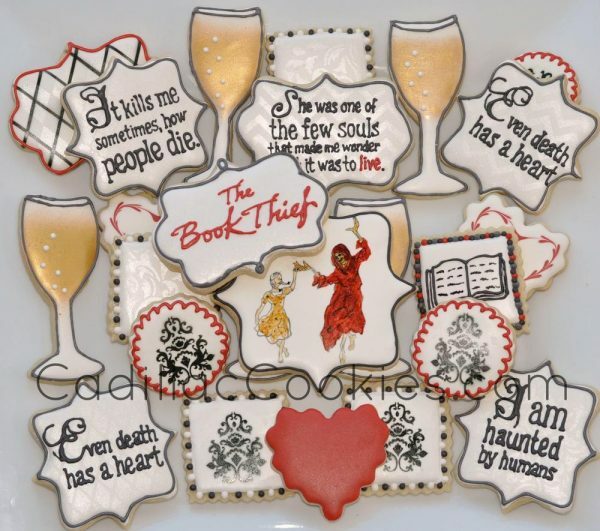 Paying homage to the bestselling historical fiction novel, The Book Thief, these cookies would just set the evening for a book club get-together! 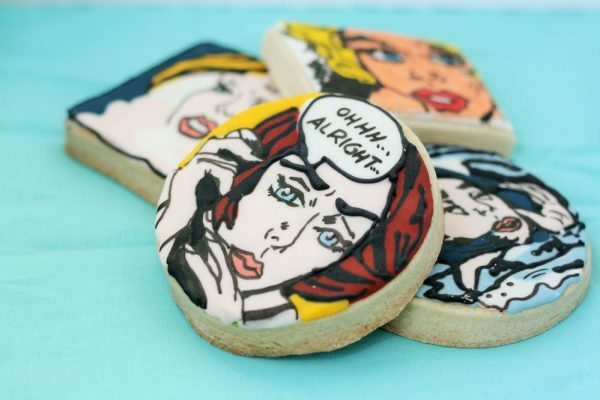 Who can ever get enough of the classics (Especially in cookie form) ? I find this one to be so precious. 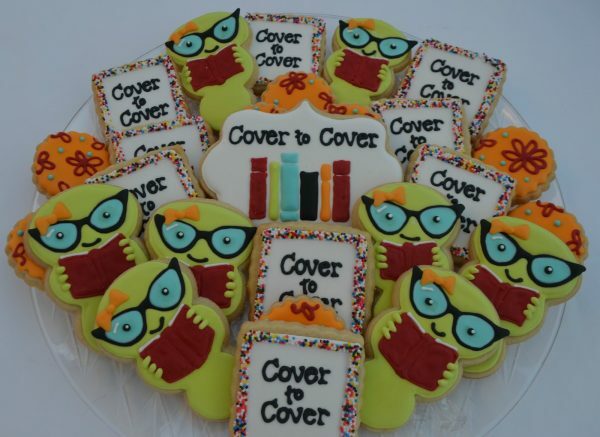 We are bookworms (or dragons if you prefer)! 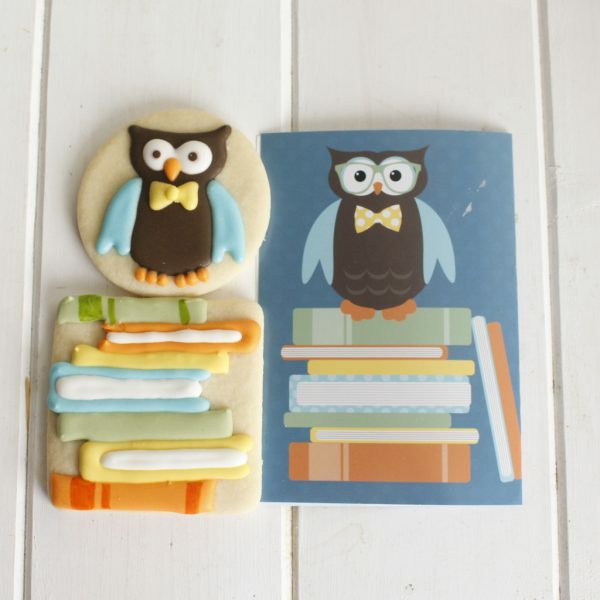 And what better friend to accompany a bookworm than a book owl? 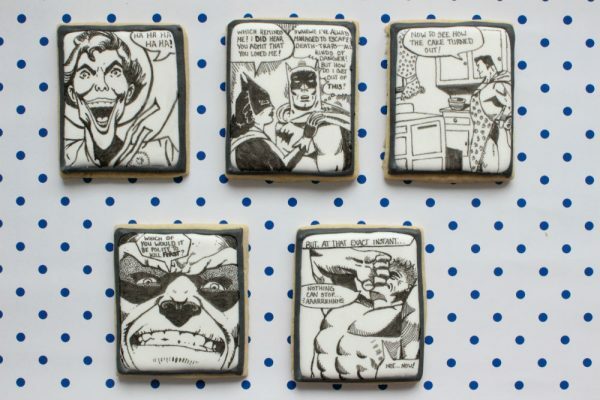 For the lover of all things comics, you need to make these cookies at least…three times in your life! 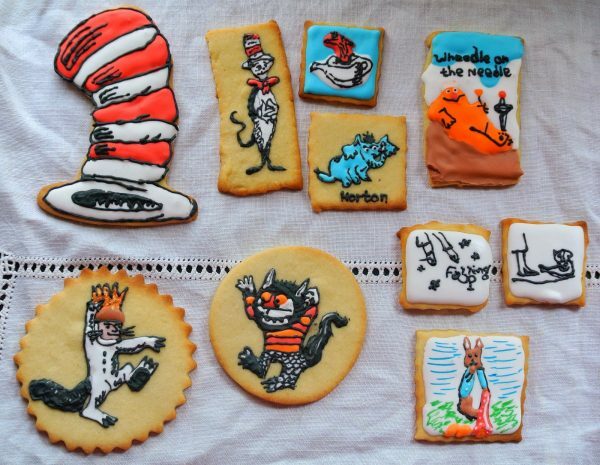 Sweet The Cat in the Hat and Where the Wild Things Are inspired treats! 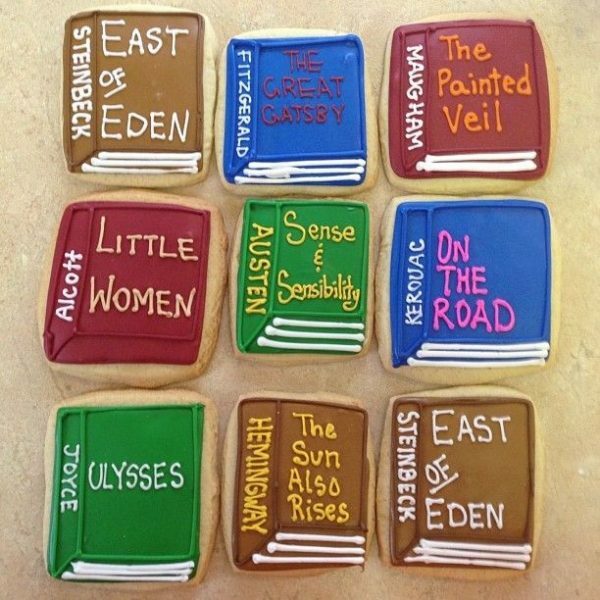 I know if I was still a little kid (actually, even now in my twenties) being given this cookies would make me excited to read even more! 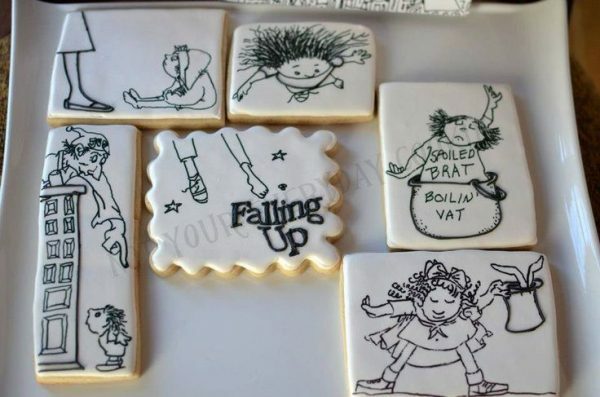 These simple, though wonderfully detailed black and white cookies pay special homage to the classic poet and author. 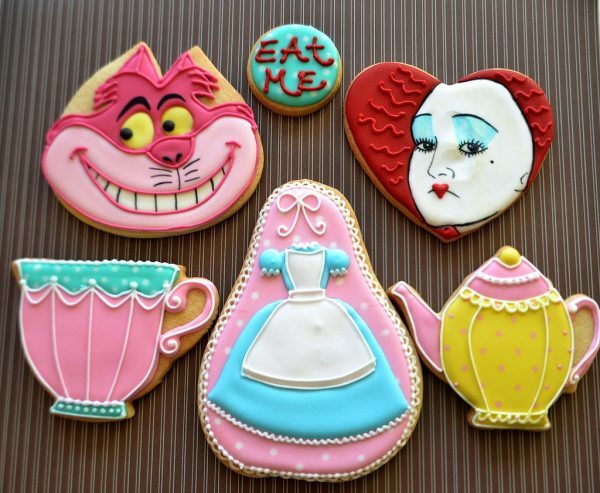 What bookish cookie list would be complete without some Alice in Wonderland themed treats? 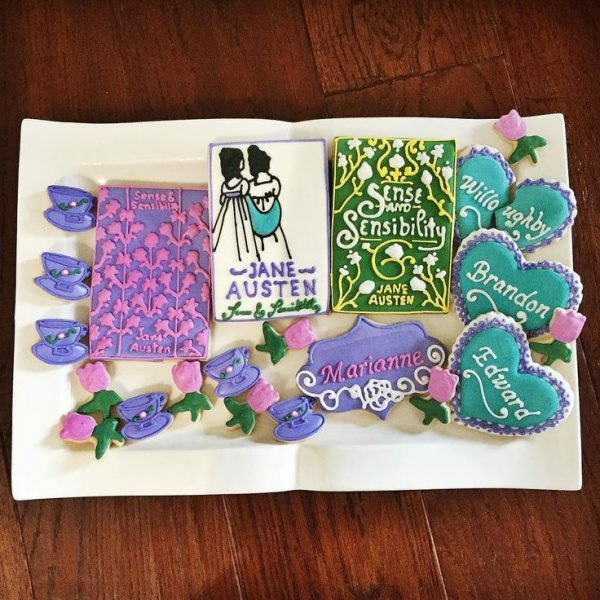 A scrumptious dessert for any Janeite (Jane Austen fan) to munch on while discussing the famous author’s classic works. 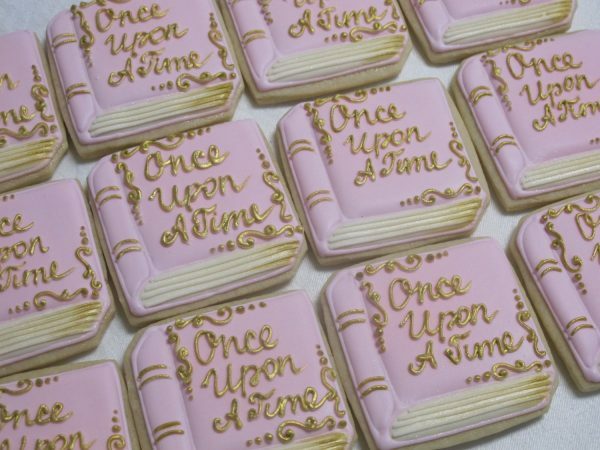 Which stories inspire you to get your bake on?